Prof Julie Scholes’ research is focused on understanding the physiological and molecular interactions between plants and their symbionts including parasitic weeds, fungal pathogens and mycorrhizal fungi in both natural and agro-ecosystems. In agro-ecosystems, a specific focus of her research is the root parasitic witchweed, Striga, that infects the staple cereal crops of sub-Saharan Africa causing devastating losses in yield. Her research group exploits genomic, quantitative genetic and molecular approaches to identify genes underlying resistance and susceptibility in cereals to different genetic ecotypes of Striga and corresponding virulence/avirulence effector genes in the parasite. The aim of this work is to understand the molecular-genetic basis of host-parasite specificity to enable predictive breeding of durable defence against Striga ecotypes. Her group has recently completed the first genome sequence of S. hermonthica. Within the LC3M programme, Prof Scholes is investigating the role of silicic acid (released during weathering of basalt) on priming/enhancing resistance in rice to Striga. Prof Scholes also has a long standing interest in tropical rain forest biology and for many years has collaborated with scientists at the Danum Valley Field Centre in Sabah, Borneo, to investigate the effects of biotic (mycorrhizas and insect herbivores) and abiotic (light, nutrients and CO2) stresses on the survival of dipterocarp tree seedlings, the dominant emergent trees of S.E. Asian rainforests. As part of LC3M Prof Scholes’ is involved in studies to investigate the effect of basalt applications in oil palm and forest plantations in SE Asia, on plant growth, resistance to fungal pathogens, and on soil mycorrhizal fungi. 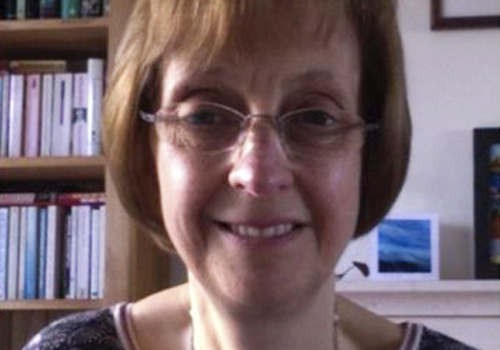 Prof Scholes obtained her PhD in physiological and molecular plant pathology at the University of Wales in 1986 and then moved to Sheffield University to take up a Royal Commission for the Exhibition of 1851 Research Fellowship. In 1987 she was awarded a Royal Society University Research Fellowship that she held until 1995. She then accepted a position in the Department of Animal and Plant Sciences where she is Professor of Plant and Microbial Sciences.